I love movies. I love watching movies. I love watching movies about movies. I love reading about movies. Turner Classic Movie Channel is my drug of choice, and as I write this, Alfred Hitchock's masterpiece, Vertigo, plays in the background. Movies are my chosen means of distraction, comfort, and inspiration. As a child I spent many a night after my parents were in bed sitting on the floor in our darkened living room, eyes glued to the flickering screen of our black and white television. As a young woman living alone in a new city, movies kept me company. When my marriage ended, I rented movies every night and kept a list of every movie I watched for a year. My early film-watching experience was restricted to whatever was shown on the 6 channels we got on our black and white television. The Wonderful World of Disney was required Sunday viewing at my house as I sobbed my way through such classics as Old Yeller and my personal favourite, The Three Lives of Thomasina (a magic-realism tale about a beloved cat that returns from the dead). Saturday afternoons were spent watching Westerns with my Dad, and evenings were devoted to variety shows followed by musicals, Hitchcock mysteries, and Elizabeth Taylor films. I devoured movie magazines and wrote to my favourite film stars, often including drawings I had made of them with the letters. I'm sure this all contributed to my lack of friends my own age, most of whom had no idea who Gene Kelly, Katherine Hepburn and Gregory Peck were. In high school, my movie horizons broadened as friends with driver's licences took me to see Saturday Night Fever, Grease, and Smokey and the Bandit. When I moved away from home to attend University, in addition to providing the opportunity to study film as an academic subject, my new city of residence had a repertory theatre that showed three different films every night. 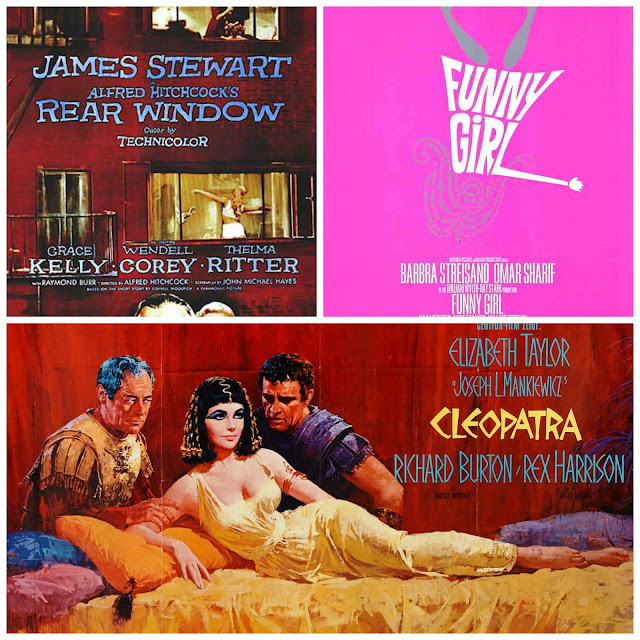 The New Yorker Repertory Cinema is where I discovered the cerebral delight of My Dinner With Andre, the subversive thrill of Last Tango in Paris, the charm of Audrey Hepburn in Sabrina, the ritual comfort of White Christmas and epics like Ben Hur and Lawrence of Arabia. So, given my love for the movies, you would think that the Toronto International Film Festival (TIFF) would be on my yearly to-do list. 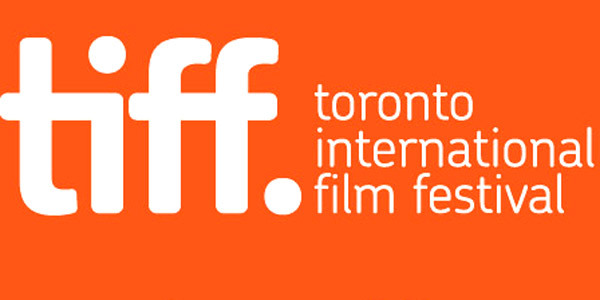 TIFF is a publicly attended, world-renowned film festival that has taken place in Toronto every year in September for the past 37 years. For 11 days, film fans are treated to the opportunity to see over 300 films from all over the world, interviews with stars and directors, celebrity sightings, and red carpet premieres. Until this year, I have never experienced the film fans' heaven that is TIFF. This is partly because of the timing - when you work at a university, taking time off work in early September to go see movies is pretty much a pipe dream. In addition to time, attendance requires money, as tickets to screenings go for $20 and up. This year I decided that I would take a day off work and see at least two films - any two films. I spent a couple of hours with the schedule, cross-referencing film screening times with venue locations and ranking titles in order of preference. Planning the invasion of Normandy probably took less time. Then I waited for single tickets to go on sale on September 1st, when I waited not-so-patiently in the "Virtual Waiting Room" on the TIFF website for 5 hours before I was able to get tickets. Success! Friday the 13th I headed to Toronto on the Greyhound to take in two films, and meet up with a friend for some quality socializing. Film #1 - Gerontophilia, directed by Canadian filmmaker Bruce LaBruce, known for his sexually explicit films, is an unexpectedly sweet tale of the romance that develops between a young attendant and an octogenarian resident of a nursing home. LaBruce makes the relationship that develops believable, tender, and also keeps a campy thread running through the film that also makes it very entertaining. The audience was a mixed bag of gay and straight, male and female, young and old. 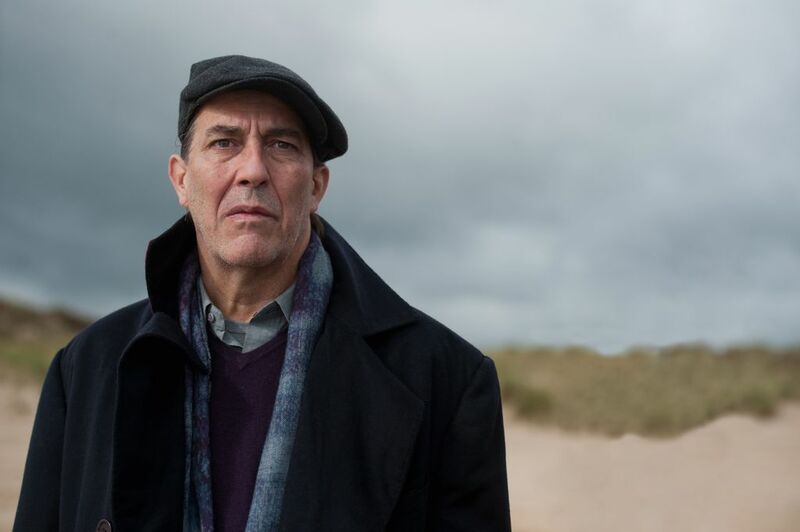 Film #2 - The Sea, adapted for the screen by John Banville from his Man Booker Prize-winning novel, is a moving story of Max, an emotionally broken man (played by Ciaran Hinds shown in the photo above) looking for peace of mind after his wife dies of cancer. He goes to spend time in a house by the sea run by an unnamed housekeeper, played by Charlotte Rampling, elegant in a series of gorgeous asian-inspired jackets. The house's former residents figured prominently in Max's childhood, and we relive his former summer there through the golden glow of his memory. I thoroughly enjoyed both films, as well as the experience of being in a theatre full of people who were there to see the film, not because they were bored, or it was a Saturday night. There was no talking during the film or checking their phones. When the lights came up, people discussed the film with their neighbours, as well as films they had seen, or were going to see. While I can enjoy a summer special-effects filled blockbuster, it was an absolute treat to see two thought-provoking films focussing on adult themes like unconventional love, the guilt and grief that one experiences after the death of a spouse, and the fear of being alone as one ages. This was my first TIFF experience and I hope it won't be my last. Long live the magic of movies. Yay, am I first? It's been a while since I've checked in, Shelley. 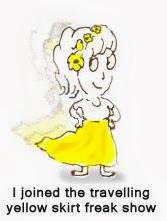 Thanks for your kind comment on my last blog post. :) I lived in TO for 7 yrs and never did TIFF (except for some of the parties - being a journo helped). Wish I had done it, but I tended to avoid Yorkville and all the star-gazers. 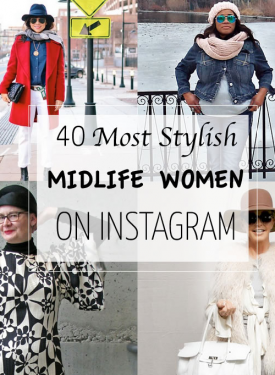 This post makes me yearn for fall in The Big Smoke. Thanks or sharing. The flics sound lovely. P.S. I get my love of old flics from my Dad. When I was in high school, we'd watch Saturday Night at the Movies every weekend (when I wasn't out, that is). None of my friends knew who any of the true, old movies stars were either. 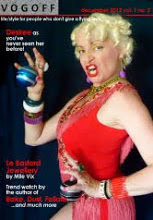 I hink I developed my love of 1940s fashion from those flics (in high school, I'd dress in 1940s suits and high heels. People say I looked like a stewardess). Oh, and Vertigo is a fave. The opening credits, animation and music still blow my mind. I Love Vertigo. I used to watch a lot of films, and have somehow got out of the habit... Why is that? Certain films from childhood or youth have such nostalgic associations attached to them. My other half desperately wants our kids to like the films that he loved as a youngster, and when they are lukewarm about them, he takes it as a personal affront! I am totally an old movie buff (I adore silent sundays on TCM) New movies hvae no appeal to me anymore--they can't hold a cndle to the oldies. OMG--i was glues to Disney on sunday nights, too!1 And the The Threee lives of Thomasina?? SOB!! Those films sound realllllly interesting. I went to a few films at the Seattle Film Festival when I lived there, and it was great to see good films that didn't get wide release. I wish I saw more films now, but it just doesn't seem to happen. Except last night. We saw Twenty Feet from Stardom, a documentary about back-up singers. It was great! I love movies too and my BS is in Telecommunications and Film. For me they are always about escaping and the further they remove me from my own life the more I adore them! I love a good cry and am way more into character driven stories than anything else. I have also found that there is some great television series out there, I have been loving Luther as of late. A film festival sounds like a total blast! These both sound really entertaining! I am a film enthusiast, but don't watch nearly as many as I used to! I grew up watching old films with my Mama, and am as big a fan of a foreign arty film as I am of a good blockbuster these days! We have a really good dvd hire shop in Christchurch which has every genre of film imaginable, which is great because we're too small to get a lot of good stuff, or it doesn't run long. Our 2 arthouse cinemas went down in the earthquakes, but there is a new one just opened, so I'm pretty excited about that! I love this post! Your writing drew me in and made these two films come alive. You chose well! I may have to get a copy of 'The Sea.' Or somehow learn when both of these films are available to the general public. I love films, but for some reason they haven't been part of my life for over two years. You have inspired me check out the film center just blocks away. It's time! I miss going to the movies. All the movies we get here are big budget blockbusters. Yuck! I love Vertigo!!!! I wanted to be the girlfriend when I grew up. She designed bras and had an amazing San Francisco apartment. You've made me want to see BOTH of this films. I love film but hate the cinema - our Art Deco fleapit was demolished for a shopping centre back in the 1990s and the only one nearby is a horrid multiplex that stinks of processd me and is obsessed with animation, Harry Potter and Rom Coms - the three things I loathe most! Can wait to see your new Docs! My name is Indigo and I'm a filmoholic. Last month I took two weeks off for the NZIFF and saw 17 movies. Part of my job is buying DVDs and I love it! Hooray for lots of text! Gerontophilia looks great. Women of a certain age probably appreciate the whole concept more than most! Ciaran Hinds has a face made for the cinema. Saw him once in a tv show - a PBS mystery??? He shone in that. Charlotte Rampling is probably a great foil for him. Nice post. Brought back childhood memories of watching movies with my mother on a black and white Cornet television. When she moved in with me in her final years, I used to take her to the New Yorker. We watched some fine films together. Oh, how she would have loved TIFF. VIFF is on here now. I tried going one year and spent more time in lines than I did in the movies. Now that I know the joys of tiny portable chairs, I might have more luck. It's a very Cultural Event here. You seem to have to dress the part even just to line up - head to toe black, big glasses, bored expression on your face, high-falutin' reading matter in hand. I can do that! I love, love movies. They saved me. Did you drink the official TIFF vodka? Scary politics there.